7-time school record holder for OSU. Some say that greatness is born from adversity, and Andrew Appleby is a prime example of overcoming obstacles not only to succeed but also to give back tenfold what he was given. Appleby had every reason to take it easy from day one due to struggling with reactive airway disease; however, he gave himself no excuses and set to work honing his abilities. Now, Appleby imparts his passion and joy for the sport as well as a thirst for learning and improving every day. Helping kids relate drills learned in clinic to improving practice and racing skills has become a daily routine. 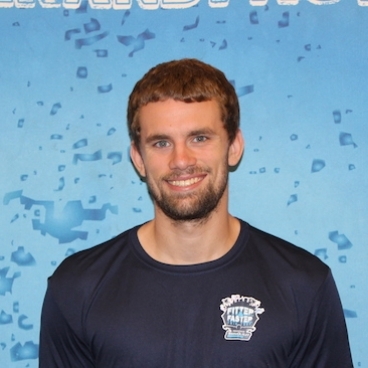 As a 200 IM and backstroke specialist, Appleby draws from countless hours of perfecting streamlines, turns and body mechanics in all strokes. 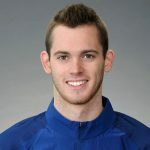 Though he may be young, Appleby’s incredible energy and enthusiasm for every aspect of the sport has built a deep reservoir of technical knowledge and patience for teaching with multiple methods to allow for “lightbulb moments.” He credits his brilliant coaches and an inquiring attitude regarding strategy and technique for his swimming success. Appleby became proficient with communication skills and fostered a love for working with kids after founding the Make a Splash Akron community service program at the age of 15. He is someone who sees a need and steps up to fill that role, and his upstanding character makes him the perfect role model for others. Not many teens think about serving their communities, yet Appleby seems to naturally step into a leadership position in whatever community he is involved. He is also a big proponent of self-reflection for success: “Rediscovering the fun in the sport can help a struggling swimmer relax and remove self-induced anxiety, which serves to improve both their performances in the pool and happiness outside of it.” Clinic participants are bound to have fun on deck with this character. Mastering your mindset can unlock massive athletic potential, and Appleby will teach swimmers that most pressure comes from within. 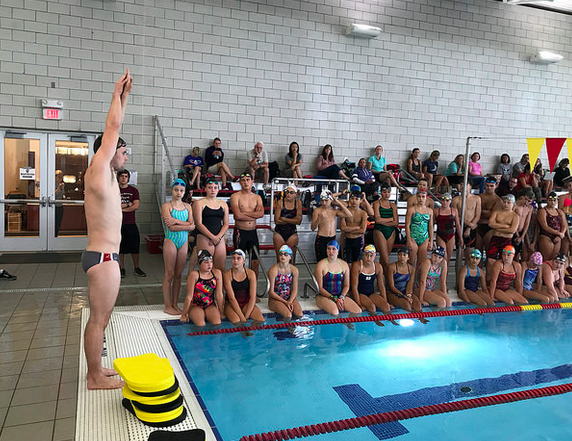 Learning to have fun with the sport reduces this anxiety and helps swimmers learn from races rather than define success by the numbers on the clock. Appleby maintains this balanced perspective through such a time-demanding sport by fostering other interests, such as fantasy football, pickup basketball and volleyball games, or playing disc golf with friends. Work-life balance is crucial in preventing burnout, and swimming is an incredibly demanding sport. 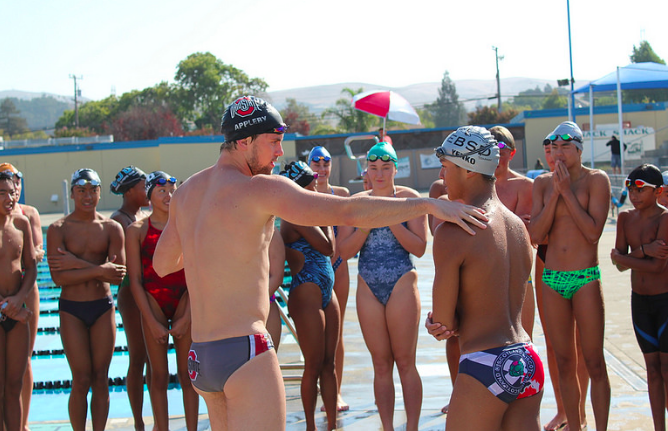 Let your swimmer find the fun in our sport by attending Andrew Appleby’s next clinic near you!